The latest version of Joomla, the version 1.5.12, is now available. 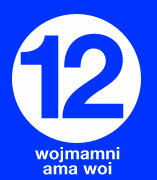 Called "Wojmamni Ama Woi", this release contains a number of bug fixes and three moderate-level security fixes. It has been less than a month since Joomla 1.5.11 was released on June 3, 2009. This release marks an important milestone for the Joomla Project due to the upgrade of the PEAR library to the new BSD licensed version, which brings the codebase into full compliance with the GPL. In addition, this release contains an important upgrade to TinyMCE v 3.2.4.1.